Whether you want to appear in films or you are more interested in being a stage performer, there is only one word that can well describe you: actor. But being a paid actor isn’t something that just happens. In other words, in the world where anyone can memorize scripts and speak words, do you have what it takes to become a better actor? If yes, why not pen down your skills and qualifications in a resume. And, resume writing is now easier than before. 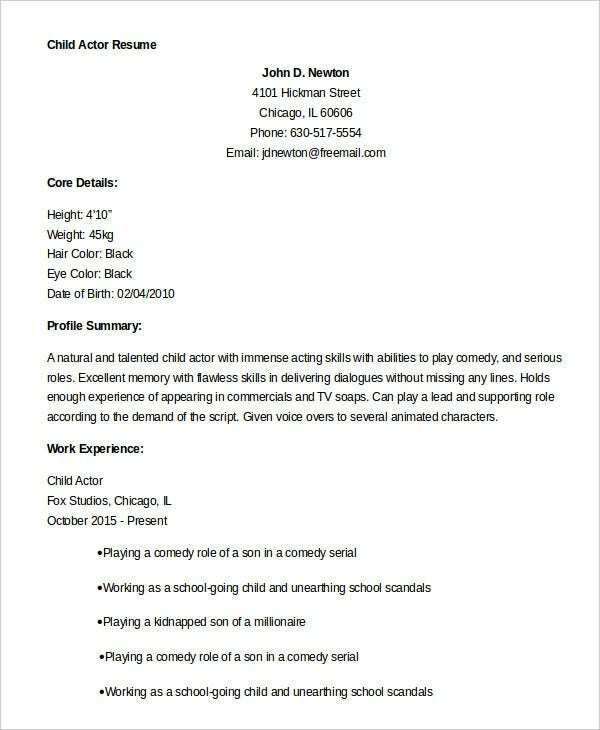 You just need to use the following Actor Resume Templates to write a creative resume for an actor job. If you are under the age of the majority, you are considered a child. If you are an actor, you fit in the profile of child actors. 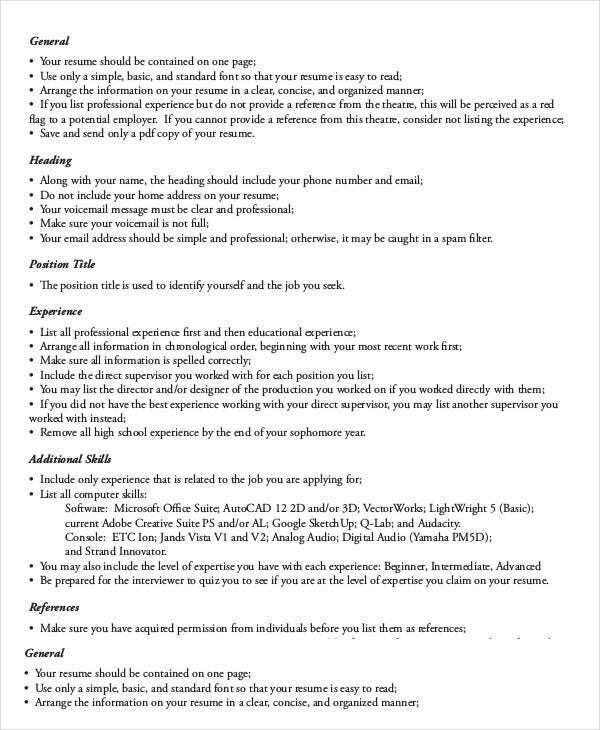 Here is a good template to use for resume writing. You may also see Basic Resume Template. 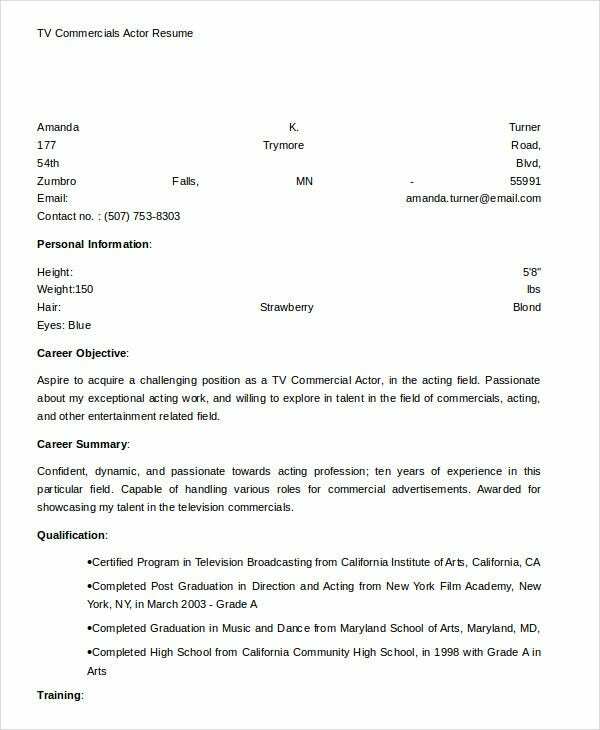 Writing a professional Actor Resume is easier than before. Instead of spending a lot of time on your computer trying to get it all done, just download this creative resume template to create the document. 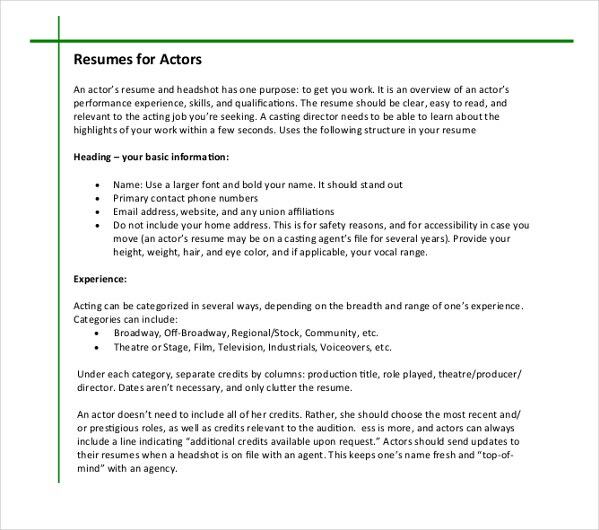 What is an Actor Resume Template? Actor hiring managers almost always want to work with the best talents. And so, they will search for the best individuals that can do the acting the best way possible. There are two ways to prove that you are good at acting. 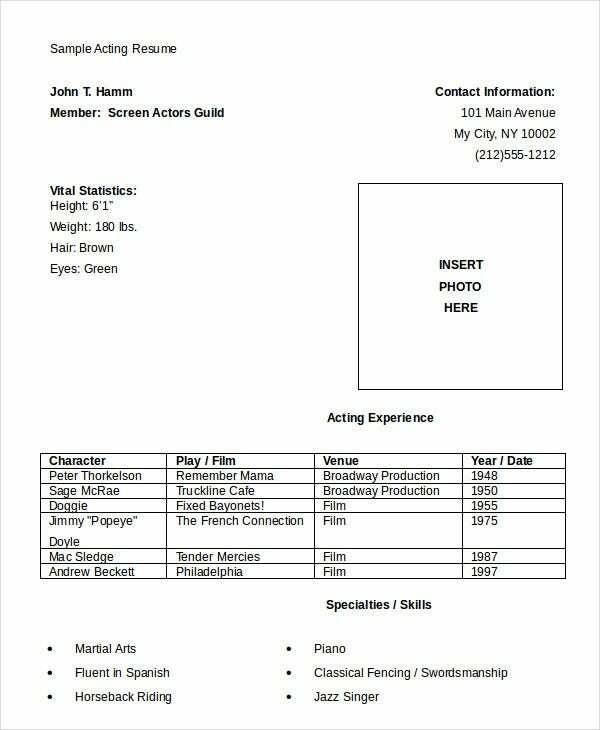 The free resume templates provided in this thread are specifically targeted for actors. They are designed to help enable each actor to express his/her interest in an open acting opportunity. 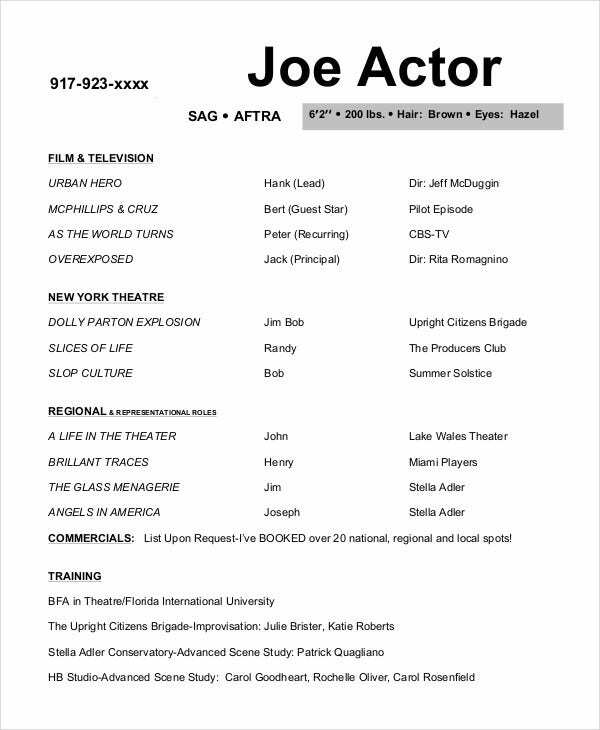 If you have what it takes to be a good actor, this is the best place to start. 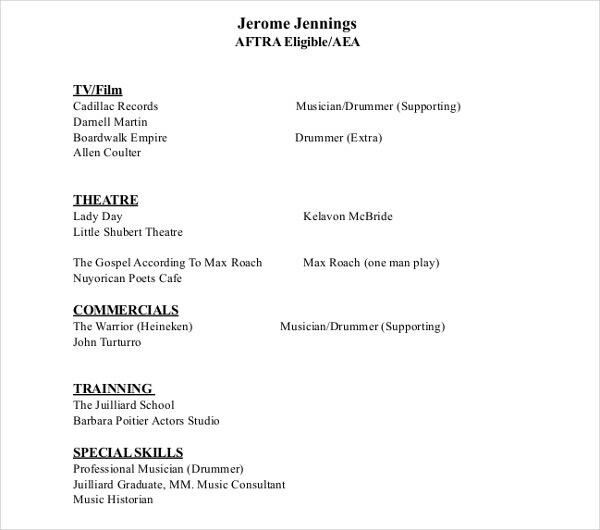 Being a TV commercial actor requires more than just being able to recite scripts and speak the words. You need must have the experience and the professional background in acting to get the job. 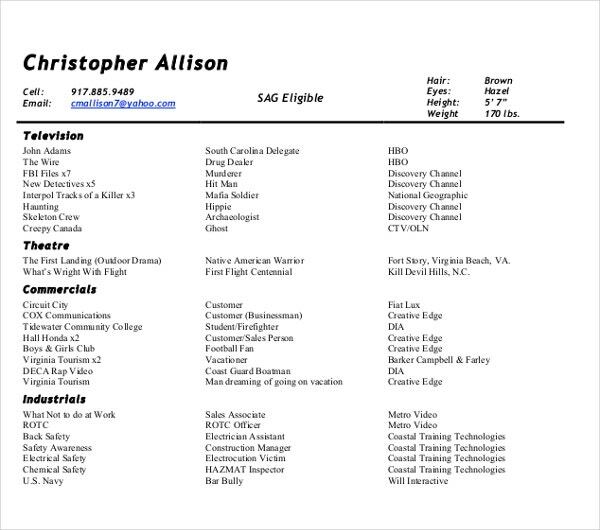 Use this resume sample to outline the info. 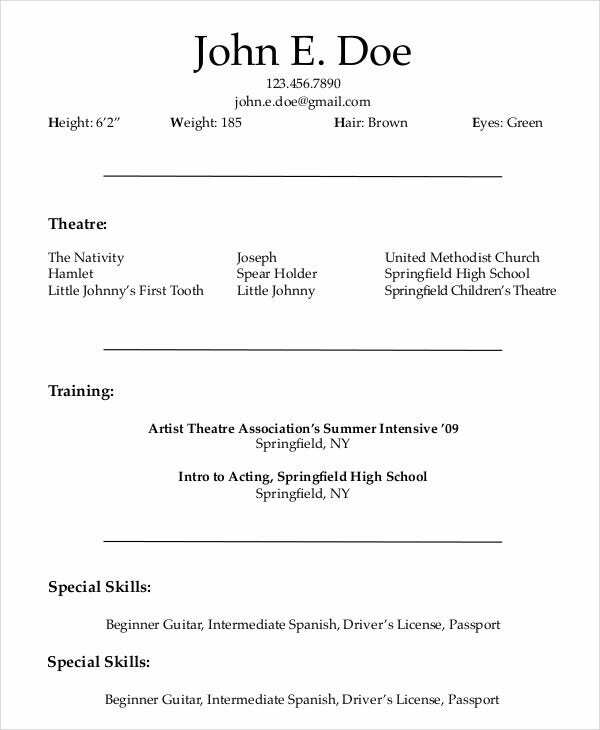 Use this creative resume template to write yours. It is easy to edit. Don’t customize the design; it is already complete in the terms of design. You just have to replace the content on the page with yours. 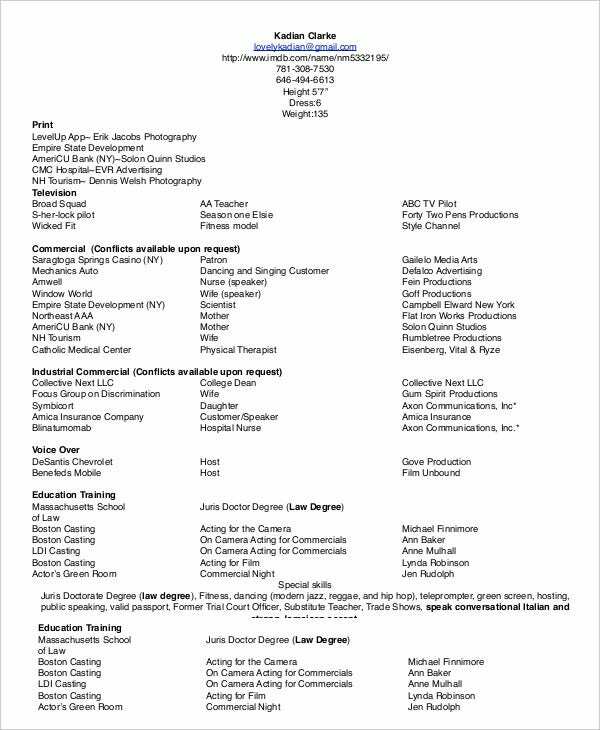 You can still get an acting job even if you are a beginner in the industry. 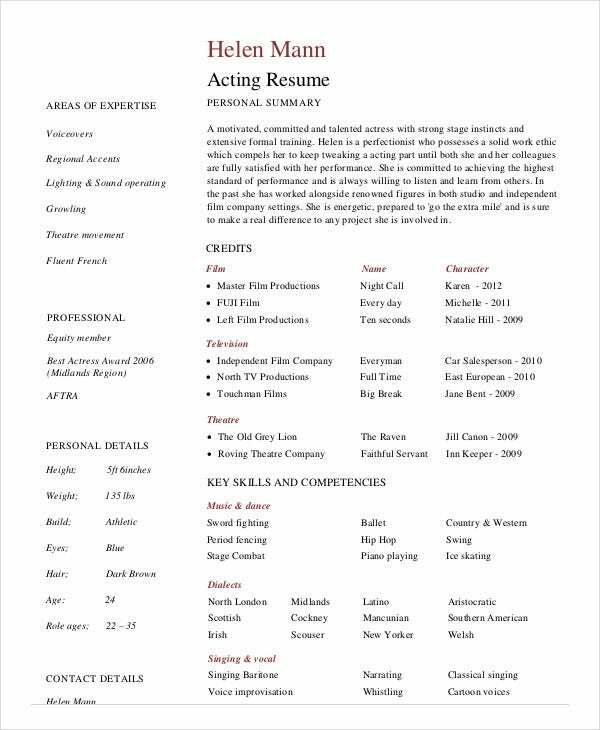 If you have the passion for acting and the ability to recite film scripts, you can use this template to write your resume. Creative resumes are almost always in demand because they make resume writing easier. But there is more to these templates than just the obvious. 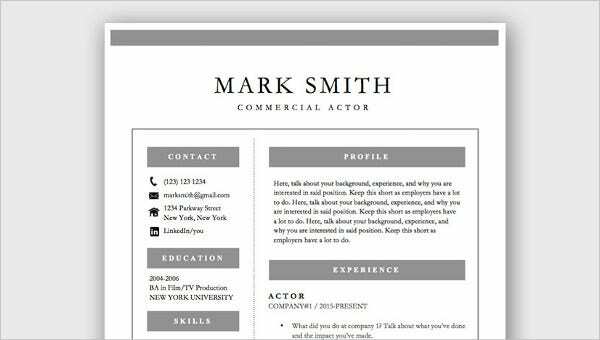 The creative resume templates are free to download. That means you never have to spend time on your computer to get the resume design done. You will be putting much of your attention on what matters the most: getting your resume ready. The design of these templates is of high quality. Of course, they meet the industry standards. So much, in fact, you can pick any of them and use them as is. The only thing you need to do is change the text. You can also see Theater Resumes. It is important to keep in mind that these templates are meant to save you a lot of headaches. Creating the resume from scratch is not easy. And getting it right may be a challenge too. But, when you put more focus on the downloads, you can be sure to save yourself time by almost 80%.